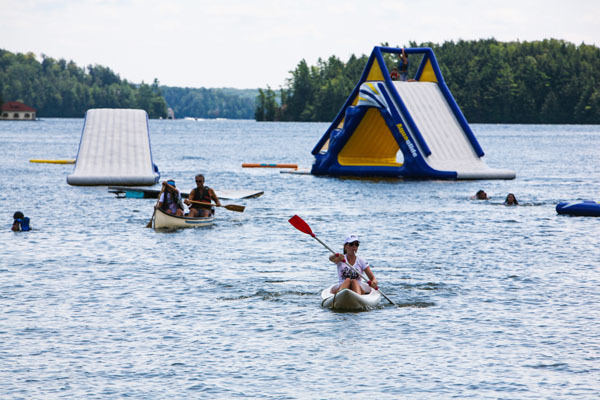 Summer Water Sports provides a variety of waterfront services throughout Muskoka, including boat and Sea-Doo rentals, boat tours, water parks, and waterfront management. Our amazing inflatable water park located at Clevelands House is a popular place to spend a summer’s day! The only way to properly see Muskoka is by surrounding yourself in what we are best known for: our beautiful lakes. 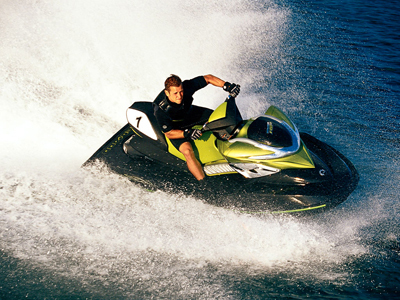 At SWS we offer a wide range of boat and Sea-Doo rentals so you can have the opportunity to get out on the water. Our boat rentals are based out of SWS Marine, and our Sea-Doo rentals are located at Clevelands House Resort and Bayview Wildwood Resort. All of our Sea-Doos are GTI 130 with intelligent breaking and have room for 3 riders. Our boats are available to rent with or without a captain; we highly recommend a captain if you are not comfortable driving a boat and/or don’t know the Muskoka Lakes. Please note: all rentals are plus gas and tax (except 1 hour Sea-Doo rental, which includes gas). Add a captain for $45/hour. The SWS floating waterpark located at Clevelands House Resort is open to the public 7 days a week for all ages to enjoy. 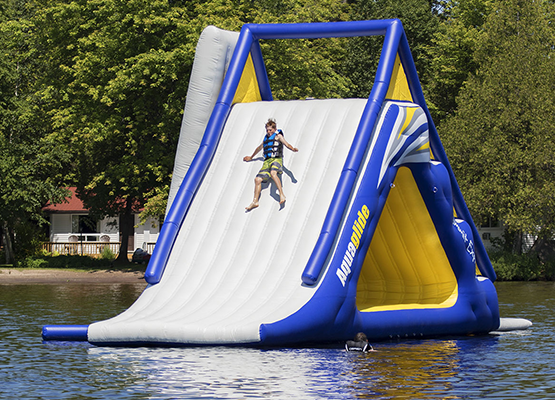 Bounce, jump, slide and play on this inflatable waterpark all day long with the purchase of a Muskoka Adventure Centre day pass ($25.00 plus tax for all ages). 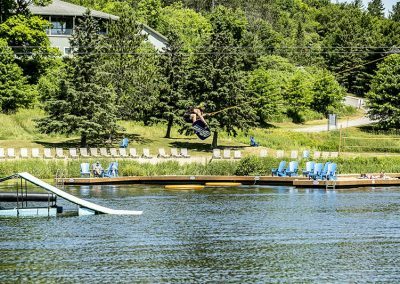 The day pass also includes use of the tennis courts, fitness centre, beach (public area), trails, mini putt, shuffleboard, basketball courts, floor hockey, badminton courts, horseshoe pitch and ping pong at Clevelands House Resort. 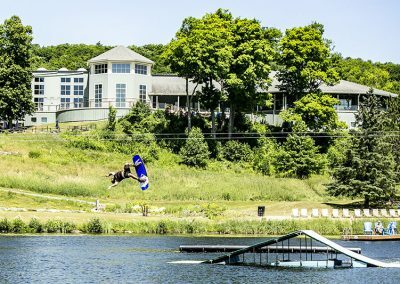 Day passes are available on the resort at the Muskoka Adventure Centre (Maple Hill Pro Shop), SWS Ski School and SWS Marina. 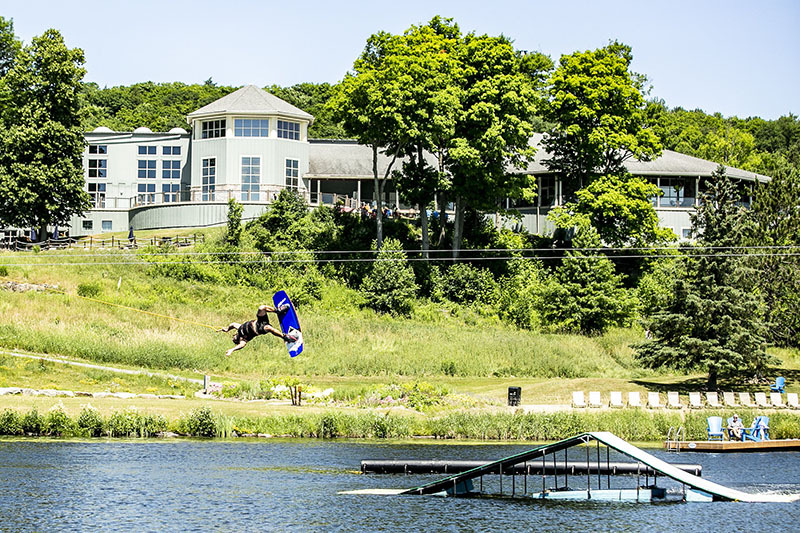 New to our Deerhurst Ski School is a System 2.0 Cable Park! The park features beginner to advanced rails and jumps. Riding a cable is fun and easy for all levels of riders; the upwards pull enables effortless starts and has proven to provide a quick learning curve to beginners. With its continuous ride and strong tension it also allows advanced riders to progress with water tricks or improve their rail-riding skills rapidly. 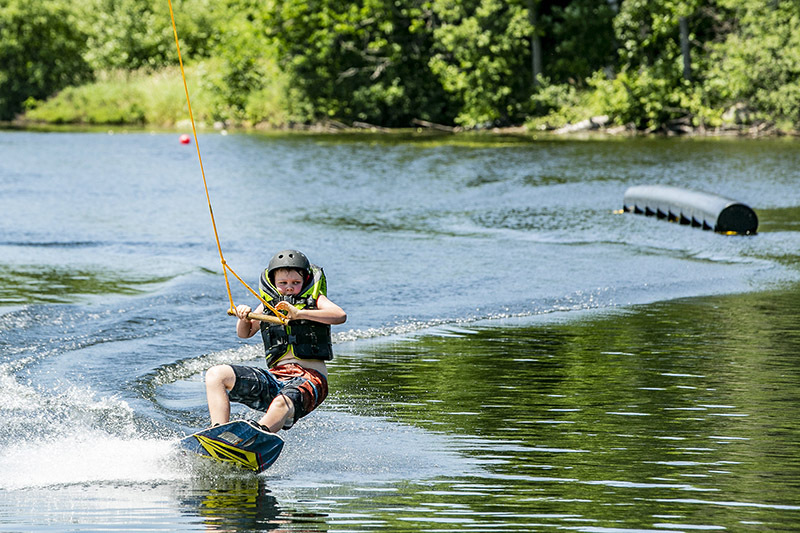 Our Deerhurst Ski School operates out of Deerhurst Resort near Huntsville, Ontario. 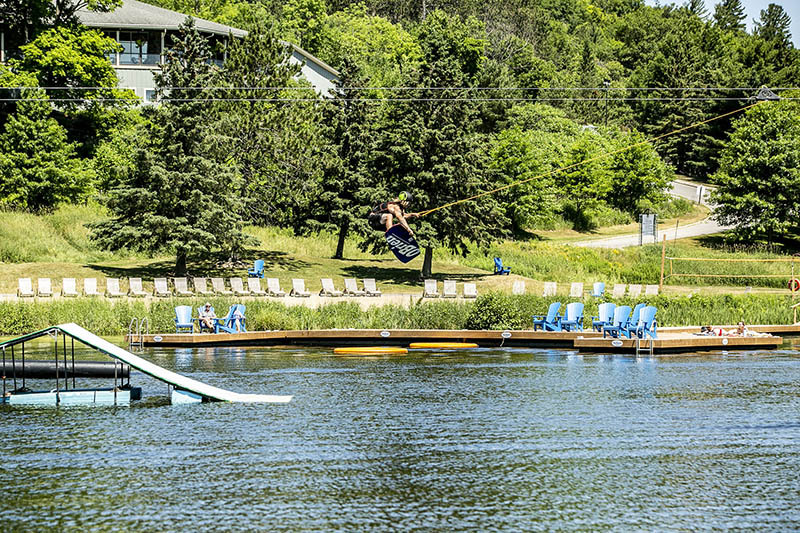 Call 1-888-I-SKI-SWS to speak to one of our team members about trying out the new wakeboard park in Muskoka! 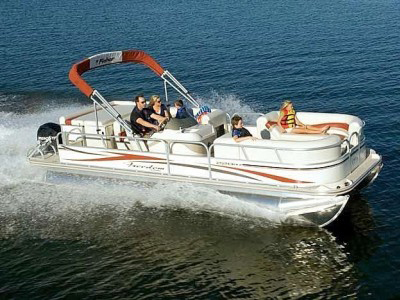 What better way to enjoy the view than relaxing on a pontoon boat with your family and friends? SWS offers guided pontoon boat tours at Clevelands House Resort. All tours are guided by an experienced and knowledgeable captain that will share Muskoka Lakes history as well as the who’s who of Muskoka cottages. 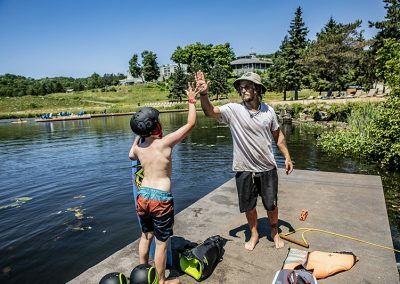 Some of our most popular tours include the Port Carling Shopping Tour, Ice Cream Tour, Joe River Tour and 4 Mile Point Tour. SWS operates the waterfront at Clevelands House Resort. We have a wide variety of canoes, kayaks and stand up paddleboards for resort guests to use as well as for the general public to rent. 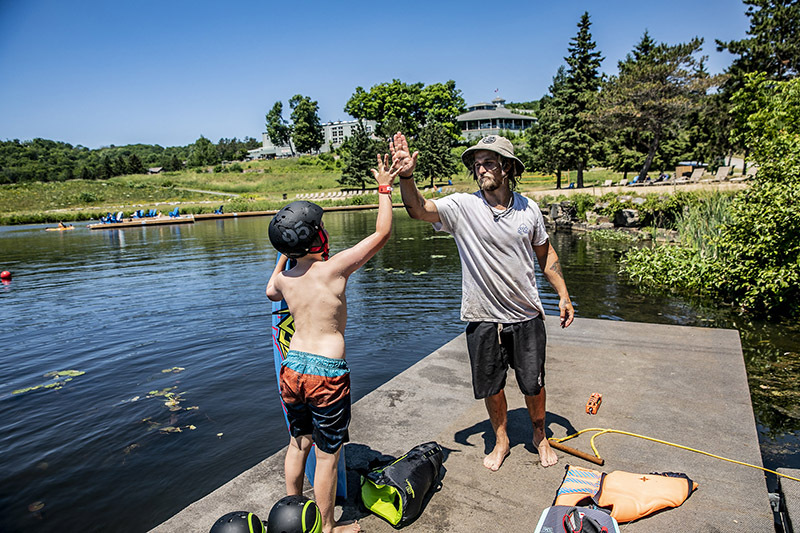 Come see us on the dock and we can set you up with all the gear you need to get out on the water.